The human element of sales will never go away – that’s a fact. But here’s another fact. Sales is HARD! Don’t make it more difficult than it already is. There’s no need to be doing manual tasks anymore like following up on cold emails one by one. So if technology improves your process, or helps you close more deals, add it to your arsenal of sales tools and get cracking! There’s a vast ocean of sales tools in the market. The potential benefit these tools can bring to your business can be very exciting but the sheer number of choices is straight up intimidating. Fortunately, we’ve been tinkering with many of these sales tools for quite a while. We took the time to narrow down the options (all 150+) so you can spend less time researching and more time selling. If CRM is the only technology enabler you’re currently using, your competitors are likely leaving you in the dust. Over the last few years, just about every aspect of selling — from lead generation to contract management — has been flipped on its head by advances in cloud technology, artificial intelligence, data analytics and process automation. That’s why we’ve built this list – to help you improve, test, and optimize your own sales stack. Here are some of the best sales tools to help keep your pipeline flowing, improve your team’s performance metrics, automate tedious tasks, or cause game-changing transformations in specific aspects of your sales process. Editor’s Note: This list of sales tools is listed in no particular order, other than alphabetical. Its hierarchy does not reflect importance or value in any way, shape, or form. You can’t be a great salesperson without having great contacts. CircleBack helps you organize all the contact information from your phone, email, social media accounts and even your wallet into a single automated address book that empowers you to build meaningful and profitable connections. CircleBack automatically discovers new contacts, updates data, removes duplicates and saves information from scanned business cards. Integrate CircleBack into your CRM to keep your lead pipeline flowing. Among other things, Datanyze generates technographics that help assess a prospect’s likelihood of buying your product at a specific time window based on its prior purchasing/subscription behavior. You can have it crawl a prospect’s website to detect the technologies, software, and platforms the prospect uses; and whether it uses your competitor’s services and for how long. B2B sales professionals need a thorough understanding of each organization they engage, especially when it comes to the hierarchy of decision makers who approve purchases. 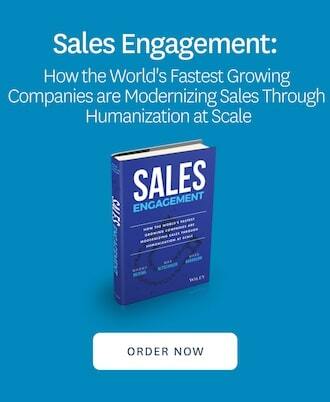 Engagio focuses on this niche, providing a suite of account-based sales solutions that 1) pull CRM data, 2) correlates leads to accounts, 3) activate marketing automations, 4) measure engagement impact, and 5) provide insight on how best to execute subsequent moves. Nearly everybody worth your time is on LinkedIn. The platform’s Sales Navigator helps you pump your pipeline with new leads and build relationships with prospects. It can help you find the right referrals so you can approach a new contact with confidence. Through LinkedIn’s native messaging, Sales Navigator also serves as an alternative way (to email and) of reaching out to executives. Get your email campaigns in order. Outreach helps you track, pace, analyze and automate your email and voice messages to your customers. By integrating Outreach into your CRM, you’ll never have to manually log your messaging activities and outcomes, freeing more time for you to book more meetings, close deals and make better-informed decisions. Gone are the days of missed followups with prospects or losing hours each day logging information to your CRM. PersistIQ is an easy to use sales orchestration system that salespeople use to proactively generate new opportunities. With PersistIQ, salespeople quickly create multi-touch and multi-channel communication campaigns that include email, voice, and manual tasks, all synced to your CRM. These campaigns drive high-quality and personalized touch points with prospects, increase sales activity numbers, and keep salespeople organized everyday. Accelerate your sales cycle by making stronger connections and automating your outreach efforts. PFL provides a suite of sales and marketing solutions that help you close more deals, revitalize stalled engagements, hyper-personalize email campaigns, and deliver stunning content designed to drive conversion and loyalty. Account planning is an important aspect of the sales process but many businesses fail to actualize its revenue-boosting potential by adopting sloppy account management strategies. Revegy helps streamline, automate, scale and monitor account management processes to provide teams with valuable insight for harnessing the full value of customer relationships across all stages of the sales process. Use Revegy to determine customer pain points, identify high value leads and maximize business with key accounts. SalesLoft provides sales organizations the ability to build, share, and execute on their pattern of sales steps across email, phone, and social. They help sellers make more connections and close more business. Real-time email tracking helps teams respond to buying signals, and the integrated dialer allows users to dial, log, and record calls from anywhere. SalesLoft integrates with over 35 other sales technology vendors. Drive engagement and achieve higher sales performance by growth-hacking the experiences you create for your customers. Running as a native feature on Salesforce, Smart Rooms empowers your team to build hyper-personalized and guided experiences that positively impact customers’ buying behavior. Use Smart Rooms to deepen existing relationships with key accounts and organically ramp up your upselling and cross-selling campaigns. Terminus is an account based marketing software that enables marketing and sales teams to run account-based marketing at scale. Some of their most useful features are campaigns for demand generation and sales acceleration. Campaigns can target different personas, buying stages, individual accounts, and other segments of your audience using various ABM tactics. This allows marketers to easily coordinate complex marketing efforts, track results, and optimize their campaigns on the fly. VanillaSoft blends telemarketing and customer relationship management to improve outbound call volumes and conversions. Using a queue-based framework and priority routing, VanillaSoft helps reduce lead response time while increasing close efficiency. This cloud-based tool also has call recording, automated emailing, appointment setting and lead tracking features. Accelerate your account management process with market-leading analytics. 6sense adds a data-driven layer to your sales cycle, unlocking and prioritizing new prospects across your pipeline. Use 6sense’ predictive intelligence to accurately forecast your customers’ purchasing behavior in a specific context. Nothing beats a message that demonstrates a product’s ROI to your prospect. Strong ROI and clear benefits will tilt the conversation in your favor, making it easier to close deals. Alinean specializes in value messaging, metrics verification, and value selling to help sales professionals justify the economic costs of purchasing their products. Use Alinean to enhance your team’s ability to pitch, articulate and quantify your product’s value. Integrate Alinean with Salesforce to make value selling integral to your sales process. Make decisions, execute strategies, and drive performance based on data-driven intelligence. Aviso empowers reps, account executives and managers to add a robust layer of visibility and predictability in all aspects of their sales activities — from pipeline health to lead prioritization. By combining cloud technology, machine learning and data science, Aviso takes human insight into the next actionable level. Know what your prospects are thinking. Bombora collects and analyzes volumes of data from various sources to identify which of your prospect organizations are actively searching for your branded solutions. Discover critical information about your priority leads from business size, industry, location, and key decision makers. Using AI and data science, Clari provides insights on prospects’ readiness to buy, giving your team a smart window and an ample legroom to make precise assessments and take decisive action in the opportunity-to-close stage in your sales cycle. Use Clari to formulate accurate forecasts and identify specific areas your sellers should focus on to improve skills, perfect pitches, and win deals. Sometimes, the very process of using the tools that help you sell takes away valuable time you can otherwise spend for customer engagement, training or deal closures. Ironic but it’s a common phenomenon in digital selling. Datahug eliminates this problem by automating many of the manual processes you commonly need to run sales tools like CRMs. By automatically detecting and analyzing your sales activities as gleaned from emails, calendars, CRMs, and other sources, Datahug ramps up your sales velocity and team productivity, propelling win rates by more than 20% on the average. Need an analytics and performance platform for the entire business? Domo crunches data across all your teams and departments to provide statistical analyses and actionable insights capable of moving the needle on every metric that matters. Customize Domo to deliver easy-to-understand data visualizations, enhance collaboration across the entire organization, discover new opportunities, or provide data-driven intelligence for making faster and smarter decisions. Out-of-focus teams will be compelled to stay on track using Geckoboard’s live TV dashboard that displays the mantra and metrics that matter. Use Geckoboard’s crisp and catchy visuals to keep everyone aware of their respective roles in meeting daily targets and long-term goals. Monitor key performance indicators and make critical adjustments in real time. Prevent distractions and keep team members focused on achieving high performance. As its name suggests, InsightSquared processes business intelligence into actionable insight to help move the needle on sales team performance. InsightSquared takes in data from your CRM and generates reports and visualizations that help you make smart decisions — from sales process improvements to training realignment for your sales team. Use InsightSquared to quicken the pace at which actionable intelligence — such as historical trends and predictive outcomes — can be gleaned from your CRM. Lionboard makes it easy to analyze the impact of your sales enablement efforts on the bottom line. Use Lionboard’s powerful data analytics and simple data visualizations to demonstrate the rationale of your sales strategy as well as the benefits of your programs on seller readiness and performance. People.ai is on a mission to be the AI Platform for all business activity, building the sales automation tools the modern organization needs to be more productive. They are starting by solving the age old problem of sales and marketing alignment, but in a completely new way. They believe that by using their sales automation tools to automate manual tasks (like logging activities into your CRM), you’ll have more time in your day to focus on what’s most important to your business, and sales and marketing teams get the data they need to align and thrive. A data-fragmented sales operations can sap significant energy and revenue from your business. Effort duplication alone can waste resources that could have been used for more deal-closing engagements. RingLead eliminates duplicates in your sales team’s pipeline by automatically checking data quality upon manual entry, web form submission or data imports. Moreover, RingLead reduces sales cycles using an account-based lead routing system. With massive heaps of information available to enterprises, having a team of data scientists and a powerful crunching tool on your side becomes imperative. But with Sisense, you already have a full-stack business intelligence platform that can gather and process all your data scattered across multiple sources and quickly build decision-quality reports. Easy to use and deploy, Sisense reduces your need to badger IT specialists for critical analyses and visualizations of complex data. Use it to keep your people up-to-date on crucial data that can help them close bigger deals faster. Bring the power of data science and machine learning into your workflow. SpringML enables your team to improve forecasting capabilities, optimize performance, and increase revenue. Execute your strategy with confidence, backed by SpringML’s predictive analytics. As a desktop-based data analytics tool, Tableau is easy to deploy, customize, learn and use. Many users depend on its lightning-fast turn-around time for reports generation and data visualizations. Tableau outputs are presented in a way that taps people’s natural abilities to discern patterns or trends. Use Tableau to pull and merge data from various sources in creating complex but insightful statistical analyses. Ramp up your team’s sales performance by adding a robust layer of predictive analytics and full pipeline visibility in your workflow. TopOpps helps you identify and standardize winning behavior, while increasing the accuracy of your sales forecasts. TrustSphere helps organizations leverage their most valuable asset—their collective relationship network. They enable organizations to unlock the inherent value of their own networks, using a proprietary Relationship Analytics platform. This rich set of analytics surface insights which help you improve key business challenges including workforce engagement, sales force effectiveness and enterprise-wide collaboration. Give your reps all the intel they need to engage prospects better and close more deals. Chorus automatically records and transcribes sales conversations to generate analyses and insights that help sales teams calibrate their conversations with customers. Use Chorus to attain quotas consistently and achieve higher win rates. You can also use the platform to onboard new hires, keep your team’s engagement skills sharp, and fine-tune your communication strategies. Ramp up your win rates by increasing the number of your daily conversations. ConnectAndSell accelerates your customer outreach process and overcomes the limitations of conventional dialers, substantially reducing the time it takes for your team to respond to inbound leads. Using patented sales enablement technologies, ConnectAndSell promises to infuse a new name on your lead list every few minutes. Unlock valuable insights from your sales conversations. ExecVision enables your team to revisit their sales calls and identify factors that dampen their pitch and elements that boost their win rates. You can use ExecVision for call analysis, coaching, A/B Testing, and growth hacking. The tools you use in communicating your message matter. FrontSpin simplifies your sales cycle, enabling you to 1) connect with 3x more leads via Power Dialer; 2) hike engagement via personalized Sales Email; and 3) quicken lead generation via account-based Playbooks. FrontSpin centralizes call lists, voicemails, email templates and notifications, social media messaging and other channels you use in nurturing leads and closing deals. More customer engagement in less time translates to better win rates. Find out the good and the bad in your sales conversations. Using AI technology, Gong automatically records and transcribes sales calls, then generates actionable analyses and insight on how your team can improve their pitches. On the GoToMeeting website, customers claim that deals get closed 20% faster when they use the video conferencing service. Whether the claim is accurate or not, millions of business people around the world use GoToMeeting to facilitate real-time online meetings and share information/experiences/presentations via their desktops (i.e., screen sharing). For frontline sales professionals, engaging prospects within a stable and supportive channel is a crucial requirement for successful outcomes. Use GoToMeeting to invite prospects, domain experts, and referrals from any location and get all of them focused on your message. Jiminny makes coaching happen for sales and customer success. Capture every customer conversation and simplify how teams work by integrating coaching, web conferencing and a dialer in one place. Jiminny allows every one of your team to be a coach. Automation with Salesforce & Slack improves team communication and productivity. Why build your contact center piecemeal from multiple providers when you can have a complete cloud-based solution that integrates seamlessly with Salesforce? NewVoiceMedia’s Cloud Contact Center enables your team to instantly connect with prospects through call, email, or social media. Connect seamlessly with leads, customers, and colleagues from anywhere with Nextiva’s business phone service. The product allows business professionals to make and receive business phone calls from any device, enable one-on-one HD video calls, instant message, and track all communications through the Nextiva App. Nextiva’s business phone service has omni-channel support across email, voice and chat, allowing you to reach customers anytime and from anywhere. Adopting Refract is a single move that impacts multiple aspects of your sales call infrastructure and overall performance: It helps upgrade sales coaching, keep reps’ engagement skills sharp, prevent call errors that erode win rates, and provides strategic insight that helps you formulate results-driven customer conversations. Skype has been around since 2003 and remains a dependable and easy-to-use service for reaching and communicating with your prospects. Operating under a freemium model, Skype offers instant messaging, video conferencing, screen sharing, and voice call services over the Internet. Users have the ability to exchange digital documents such as contracts, brochures, images and videos. While marketed as a partner sales acceleration platform, Allbound offers a lot more in many areas. You can use it to organize and manage all your sales and marketing content — from campaigns to training modules — in just one lively place. Your reseller reps can use it to create hyper-personalized landing pages for each prospect, hiking the quality and outcome of each engagement. You can also manage team progress using Allbound’s simple UI that enables reps to register all their deals and organize leads. Powered by AI and machine learning, Bigtincan automatically delivers recommended content to each specific prospect on any device and at every stage of the sales cycle. Bigtincan integrates with your CRM, providing real-time intelligence to help you customize collaterals, presentations and dynamic sales playbooks any time and on the go. Real-time usage alerts helps you understand how prospects engage content. Automated CRM updates and predictive modeling drive productivity. Keep your sales team sharp with top-notch training and coaching resources to hike productivity and outsell competition. Use BrainShark to create on-demand training tracks that quicken their learning journey every step of the way — from onboarding to leadership. Validate your team’s sales readiness and equip them with relevant content they can access any time. ClearSlide is a full-stack sales engagement service covering content management, analytics and smart messaging. Use ClearSlide to ramp up the quality and impact of your emails, conferences, presentations and other engagements. Persuade your customers and prospects with the most compelling content. Motivate and train your team with the most effective and inspirational learning modules. Conga streamlines your contract management process, freeing up more valuable time for direct customer engagement. Re-imagine the way your team handles reports, contracts, and other documents. Eliminate bottlenecks, enforce compliance standards with ease, and run Conga’s native analytics engine to give you an accurate picture of how specific customers engage your content. The way you communicate your brand and articulate the benefits of your product matter. But so does the behavioral state of your target audience at the moment of engagement. DemoChimp provides insight on how your prospect perceives or responds to your messaging so you can align the conversation appropriately even before you engage a lead. More than this, DemoChimp lets you deliver personalized videos and documents that are highly relevant to your audience. Equip your sales team with a centralized content management, tracking and presentation solution designed specifically for sales professionals. Providing an on demand and always up-to-date content library, DocSend enables your team to engage clients more effectively. By initiating the right conversation at the right time with the right prospects, DocSend helps your team to close more deals faster. Content is king — in sales as much as in marketing. The right stories can move your prospects to take your desired action. The right visuals can trigger a positive buying decision. Top-of-the-line learning modules can turn newly-hired reps into unstoppable selling machines. Docurated uses analytics, advanced search algorithms, tagging, machine learning, custom content development, and automations to make it easier for all stakeholders in your sales process to experience the perfect content for every type of situation or engagement. Deliver the impact of account-based content marketing to your sales operations. Folloze allows your sales team to create compelling experiences that positively influence your audience’s purchasing behavior. Enable your sales team to deploy account-specific content and execute campaigns designed for maximum conversion rate for the targeted account. Leverage native analytics and behavioral triggers to nurture leads across the buyer journey. Integrate with Salesforce, Microsoft Office, MailChimp and other tools. Knowledge is power, but only if you have the right one at the right time. Guru makes everyone on the team smarter by equipping them with relevant knowledge and resources they need at any point of the sales process. Providing situational information and access to marketing content on demand, the platform also enables everyone to personalize their organization’s knowledge base to fit their role and optimize their performance. Highspot uses AI and machine learning to manage and deliver content for each unique engagement scenario. Use Highspot to keep sales reps sharp with the right training modules. Implement well-designed playbooks and delight customers with compelling content via email, landing pages or online presentations. Enable sales managers, teams and customers to discover and act on relevant information or insight. Integrate Highspot into Salesforce and gain real-time data on how prospects and leads respond to your messaging. Elite sales professionals go the extra mile honing their product knowledge and truly understanding their customer’s pain points. But even the best of them can’t have every information or content they need all the time to best articulate their message to every variant of their customer personas. Omniscience is a myth unless you’re using Knowledge Tree. Knowledge Tree is a content-focused sales enablement tool your team can use to train people, persuade prospects, and close deals better and faster. Knowledge Tree integrates with email, CRMs and other tools so you can access the most relevant content for every scenario all the time. Traditional document management practices take an awful lot of time, sapping your team’s productivity. Instead of engaging prospects and closing deals, they spend a big chunk of the day doing paperwork and administrative tasks. PandaDoc streamlines your content and documentation workflows using automation, analytics and collaboration. Build, present, edit, track and manage all your documents (including contracts and marketing content) in one lively place. Prezi is a formidable alternative to presentation titans PowerPoint and Keynote. Its enterprise variant, Prezi Business uses HTML5 technology and robust collaboration features to compel your audience with adept visual storytelling across multiple devices. It also comes with live leaderboard analytics, commenting support, and powerful design customization features. The best pitch you have is the long list of satisfied customers in your corner. It’s no accident testimonials and success stories find their way into brands’ home pages. RO Innovation helps your team tap the power of customer feedback and other sales enablement assets to propel win rates and hike revenue. Integrate RO Innovation with your CRM and other sales tools to give prospects quick access to relevant customer reference and success stories of existing clients. The ability to communicate the right message at the right time spells the difference between sales success and failure. SAVO automatically recommends the perfect resources for every situation, enabling your sales team to consistently share the right content with customers, learn from the right training modules, and execute the right process in each selling context. Use SAVO to help reps and account executives prepare for every conversation and become more effective at articulating your brand. Get the most from your content by making it more accessible, measurable, relevant,and powerful. Showpad enables your team and your customers to find, share, or present the perfect content for every situation. Ramp up sales performance by engaging and inspiring customers with better, action-inducing conversations. When words and static images prove inadequate, use videos to get prospects focused on your message. Purpose-built for selling, Videolicious enables marketers and sales professionals to quickly and easily create, edit and share compelling videos with customers at any point in the pipeline. Unlock new opportunities by igniting interest among existing accounts. contract lRevitalize stalled leads and attract new prospects. Images can sometimes drive the message home a lot better than words. No wonder videos are the fastest growing content format on the web, and why conversions improve by more than 80% when there’s a video on a landing page. Use Vidyard to strategically deploy videos in your sales process. When you get to inform, educate and delight leads better, you also get a better shot at closing deals and increasing revenue. The quality of your content and the way it is delivered significantly impact the buying behavior of your prospects. Whut automatically sifts through the mountain of content you maintain, selects the most effective content for each user, and gets it delivered to establish the most meaningful and positive experiences. Whut helps you organize your digital content, generates data-driven insights about them, and improves the way you share it with your customers. Few things can beat the sense of accomplishment at getting a big and challenging prospect to buy your product. In most cases though, verbal confirmation hardly counts until the new client actually signs a contract. Good thing contract management services like Adobe Sign are there to facilitate the binding agreement between your business and a new customer. Formerly called EchoSign and eSign, this tool forms part of the Adobe Document Cloud service which also includes the venerable PDF pioneer Acrobat. Use Adobe Sign to create, transmit, sign, and manage forms, agreements and contracts anytime, anywhere and on any device. Appttus offers a suite of QTC (Quote-to-Cash) solutions that empower sales teams to accelerate, enhance and optimize the negotiation process. From proposal creation to contract approval, Apptus speeds up the deal cycle while maximizing deal values through upselling and cross-selling recommendations. Use Apptus to configure different transactional components of your sale operations including contracts, e-commerce, customer incentives/loyalty programs, billing, and order management. A free and easy to use cloud-based contract management service, Concord helps individuals and companies create, negotiate, sign and manage contracts. Concord offers unlimited online contract storage and has decent collaboration and document tracking features. Contracts evolve over time. Signatories from different parties typically would want to mutually modify the terms of agreement amid changes in their relationships or in conditions relevant to the contract. DocuSign makes this back and forth collaboration easier and faster to conduct and complete. The service also integrates well with most CRMs and other business solutions. Predating even Adobe’s offering and holding a dominant market share, DocuSign arguably represents the best in class solution in the contract management niche. HelloSign is a highly-rated e-signature service that helps you bypass printers, scanners and pens, speeding the contract negotiation and signing process by as much as 90%. The service is free for individuals and comes at comparatively affordable prices for small to enterprise-scale businesses. HelloSign takes all your paperwork into the cloud via a simple, clean and intuitive UI. You can get it customized based on your workflow and integrated with your CRM, email platform and other business software. GetAccept automates your deal signing process by combining document tracking, e-signing, and automated email follow-ups into a single platform. Similar to marketing automation tools, the service comes with a clean dashboard that lets you see how deals are progressing across your business and which actions you need to take to accelerate the process. Improve sales productivity by taking your team’s document and contract management tasks to the next level. With Octiv, you can quickly create, share, and sign documents from anywhere at any time. Octiv’s cloud-based document management technology significantly streamlines paper-based workflows, improves collaboration, and allows full integration with other content-related services. Ramp up your team’s win rate by accelerating your documentation workflow. Qvidian is a proposal automation solution that significantly cuts the time it takes for customers to create an RFP, for your team to submit a winning proposal, and for everyone to sign an agreement. Organize all your content in a single accessible library. SpringCM automates your document cycle, establishing a high degree of control, visibility, and security for your contracts, presentations, and other content. Simplify your documentation process (creation, review, tracking, sign-off, storage, compliance, etc.) and increase the level of collaboration among creators, sellers, vendors and customers who engage the same content. Agile CRM is a powerful tool for any small business struggling to manage the time and resources necessary to build effective sales and marketing processes. Featuring easy integration with the most popular email platforms, support and customer service software, phone and conference bridges, billing plugins, social media networks, and more Agile leverages the tools you need on one easy-to-use platform. Built specifically for small businesses, Agile offers effective solutions for sales, marketing, and process automation, as well as customer support, contact management, and even project management. Apptivo is a cloud-based enterprise resource planning solution that has earned accolades and won awards for its comparative flexibility and affordability. In addition to its CRM feature, Apptivo also provides invoicing, sales reporting and project management services. It runs on a freemium model. Manage all your sales activities from one powerful, data-driven platform. Base enables your team to approach selling as a science, using metrics to establish a predictable, achievable and scalable path to success. Use Base to collect quantified intelligence you can leverage to close more deals faster. Inside sales teams can increase productivity by uniting all their sales communications in one place. This CRM comes with built-in calling, emailing, and SMS, plus powerful search and filter functions that make it easy for your reps to follow up with the right leads at the right time. The reporting features give you a glance of both the activity and performance of individual reps and your overall sales team, while enabling you to dig deep into the data to find insights that matter. A powerful API enables you to automate and connect Close.io with other apps in your toolset. Contactually is an affordable alternative to enterprise-scale CRMs such as Salesforce. Well-suited to small-business operations, Contactually helps teams find leads, generate referrals, and nurture repeat customers. Link your customer data with your email platform to quicken and enhance interactions. Organize your contacts to establish lead priorities and maintain long-lasting relationships with clients. Collaborate with the entire team to achieve common goals faster, more efficiently and with greater impact. Unlike traditional CRM, perceived as mindless data-entry by your sales team, Membrain converts your sales strategy into visual workflows that are easy to understand. Membrain helps salespeople to focus on the right prospects and opportunities and sell more confidently, from the first contact to close. If your organization operates in a complex B2B selling environment, with longer sales cycles and multiple stakeholders, Membrain is the CRM for you. Streamline your operations with a CRM purpose-built to ramp up performance and accelerate the sales process. Freshsales uses AI, automation, and other features to make it easier for your team to refresh pipelines, communicate with prospects, prioritize leads, make meaningful conversations, analyze customer behavior, and close maximum-value deals. Use Freshsales to upgrade your contact management, lead scoring, email tracking, and territory management process. Infusionsoft is the flexible but powerful CRM for small businesses. This sales and marketing platform enables teams to grow pipelines, qualify leads, deploy email marketing campaigns, automate tedious tasks such as follow ups and invoicing, manage selling activities and centralize customer interactions. Use Infusionsoft to get everyone on the same page, achieve higher performance, and improve win rates. Available via a freemium model, Insightly is an affordable CRM option for solopreneurs and very small teams. For its pricing, ease of use, decent feature set and platform integrations, Insightly earned awards from channels such as Business News Daily. In addition to core CRM functions, Insightly has a native project management support as well as a mobile and social media component. This enterprise-scale application is available on the cloud, on-premises, or a combination of both. Given its pedigree, it integrates well with other Microsoft services such as SharePoint, Outlook, Office 365, and OneDrive. If you want everything managed using just one platform, then NetSuite is the solution you’re looking for. Combining enterprise resource planning (ERP), accounting and CRM functionalities, NetSuite enables managers to extract data-driven insights for strategy formulation while equipping sales teams with tools that improve productivity. You can use NetSuite to make forecasts, upsell and manage compensation and incentives systems. Small teams with big ambitions prefer to use Pipedrive’s clean UI and activity-based selling methodology. As its name suggests, this CRM solution visualizes your pipeline and shows you which activities you need to perform to move leads forward and get more deals closed. Pipedrive is highly customizable and can be integrated with many other tools in your sales stack. Pipeliner is a visually intuitive CRM solution that provides instant visibility and intelligence on key metrics and data. Designed with a drag-and-drop pipeline UI, this graphical CRM can generate one-click reports, comprehensive charts, and a quick view of your sales performance featuring metrics such as deals created, deals lost, deals converted, and the respective values of lost and won deals. ProsperWorks seamlessly integrates with G Suite, which means you have the power of a full-featured CRM right in the familiar environment of Gmail. Unlike complex CRMs, ProsperWorks can easily be learned and optimized by anyone who uses email. The platform’s features set and ease-of-use earned it Google’s strong endorsement. But don’t let its simplicity fool you. ProsperWorks has the automation, analytics, and machine learning capabilities of other CRMs in the market. Salesforce is great but it takes a while to keep it always up-to-date. Good thing Rollio’s there to help. Just tell Rollio what to do via voice or text message and he’ll automatically make CRM updates for you, within seconds. With an AI-driven assistant who understands what you say, you won’t need to make manual updates on your CRM ever! Saves a ton of time, propels team productivity, and helps you focus on closing more deals. The dominant player in the space, Salesforce basically sets the standard for all things CRM. Salesforce has a robust range of functionalities, allows a high degree of customization, and supports collaboration. It integrates well with other apps and services and inspires a thriving third party ecosystem. The Salesforce dashboard is among the most useful tools among sales and marketing professionals. The only drawback is its relatively steep pricing. Sellsy is a full-featured CRM that eliminates the need for multiple software to cover different aspects of your sales operations. From prospecting to invoicing, Sellsy helps you manage every element in your workflow, including email campaigns, e-commerce, and project management. The platform also provides sales and marketing intelligence to help you make smarter business decisions and achieve higher conversion rates. Zoho offers a ton of features at a very affordable price. It has goodies for email marketing, customer service, lead generation, and reporting. Zoho has a simple and intuitive UI and integrates well with widely used apps such as Evernote, MailChimp, Google Apps, Microsoft Office and Quickbooks. Going back and forth between your email and Salesforce can be tedious and surely takes a ridiculous amount of time. Cirrus Insight allows you to work within your email while having Salesforce around to seamlessly guide your correspondence with smart, deal-closing insight. With Cirrus Insight, all your email data, schedules and followups get sync automatically with Salesforce, eliminating the need for data entry, manual updates and other tedious tasks. You save time, increase productivity, and exude unmatched domain mastery in your email correspondence. FullContact is a powerhouse contact platform for professionals, teams, and businesses. Their Chrome extension puts your Gmail on steroids – giving you robust data on your prospects so you can sell better and win more deals. Great marketing leads to great sales. With email among the best tools to bring your products closer to customers, having the best email automation and analytics on your side can really beef up your bottom line. GetResponse provides a simple tracking tool and integrates well with third-party apps. With just one action (i.e., installation), you bring the business intelligence and social networking benefits LinkedIn provides directly into your email workflow. More importantly, you get to replace in-service ads with contact, professional and other information from LinkedIn that can enhance prospect engagements and grow relationships faster. As its name suggests, Rapportive makes establishing trust (i.e., rapport) easier… and for free. Reply automates your email campaigns while maintaining personalized conversations with each of your prospects and tracking their behavior over time. Use Reply to scale your outbound communications and drive closing. Use it to boost inbound sales and nurture relationships with existing accounts. Integrate Reply with your CRM to find new leads, initiate call sessions more efficiently, and tap the benefits of data-driven analytics to make smarter selling decisions. Use analytics and cloud technology to fine-tune your email campaigns. SenderGen standardizes the look and feel of your email signature branding and allows sales teams to insert real-time hyper-personalized banners and messages into the signature. Optimize your email campaigns by fine-tuning the email signature for your brand. Sigstr is a simple but powerful tool you can deploy without IT help. Sigstr comes with analytics, real time updates and tracking features. Use email to simplify sales prospecting and propel your closing rate. Yesware is an easy-to-use service that runs in the background of your email client, syncs with CRM, and provides prescriptive analytics on how to best engage prospects at each stage of the selling cycle. Yesware tracks and analyzes email, call and presentation data as gleaned from your inbox then automatically syncs with Salesforce, lending more transparency while eliminating the need for manual data entry. Get all the content, data, and insight from your CRM right inside the convenience and familiarity of your inbox. ZynBit is a powerful add-on for Gmail and Outlook that channels critical information from Salesforce. That means you can organize and plan all your customer engagement in the comfort of your email, simplifying your workflow and raising your productivity. Tech businesses who partner with AlwaysHired can expect to have a high quality talent pool from which they can onboard tech savvy sales professionals. An immersive bootcamp for salespeople wishing to upgrade their skills, AlwaysHired also trains candidates to become well-versed in the trends and language of technology. Any organization who plans to sell tech products stands to benefit from this rare subset of salespeople. Keep your team sharp with the right performance management tool. Altify helps determine the factors that deliver the biggest impact on your sales velocity, win rates and other metrics. Whether you need to tweak a specific sales activity or build new business development skills, Altify will show you how best to move the needle. You can brag about the latest tech enabler on your premises but selling still depends on how motivated your people are. Software can help improve metrics but it’s the people behind a brand who ultimately reel the profits in. To keep sales professionals focused and motivated, Ambition identifies which metrics have the greatest impact on your business then incentivizes sales reps who perform excellently on those metrics. Ambition provides motivational leaderboards to establish transparency and accountability, real-time scorecards to instill focus, and data analytics to ramp up individual and team performance. Finding competent sales professionals can be difficult, especially when you’re doing business at competitive cities like New York, San Francisco and London. Fortunately, Betts Recruiting is doing the groundwork for ambitious, fast-paced companies who need top-performing personnel manning their sales floor. Check out Betts Recruiting if you need pre-screened and optimally primed selling machines on your side. CallidusCloud is an award-winning sales software provider whose suite of solutions cover marketing, sales performance, learning and customer experience. Commissions, the suite’s sales compensation service automates the compensation process while making any organization’s rewards program fast and accurate. Use Commissions to create and manage sophisticated incentives programs that reduce disputes and overpayments while motivating direct and indirect sales teams to attain higher levels of performance. If you need training for people in your inside sales operations, Factor 8 is the team to get your reps in top shape. Factor 8 focuses on B2B selling for small and medium businesses but they work and partner with big name brands such as IBM, HP, Google, and SAP. Unlike nearly every item on this list, Factor 8 is not a technically a software that you deploy across the organization but a bankable source of skill sets from where your team can learn everything they need to consistently deliver high performance. Give your recruitment and training programs an upgrade. HireVue is a video-based platform that helps organizations discover, assess and train top talent. Use HireVue’s analytics capabilities to identify candidates who’ll fit your ideal profile for each sales role in your team. Use the platform for pinpoint-precise coaching, and use it to maintain peak sales readiness. Hoopla is a full-stack performance management platform that aims to build a culture of excellence and collaboration. Using data analytics, gamification and other features, Hoopla takes everyone on the same page and keeps sales teams focused on achieving their goals. Dynamic leaderboards and visualized metrics drive staff engagement and motivate everyone to give their best. Hoopla can be integrated with CRM, productivity apps and other software. LearnCore is a sales training and video coaching solution that addresses common enablement challenges for large and growing sales organizations. Leading companies use LearnCore to onboard sales reps, identify top performers, share best practices, and ensure consistent communication across geographically dispersed teams. Through learning automation, sales reps can easily consume content (Learn), assess their knowledge (Test), and apply what they learn with video practice and coaching (Pitch IQ). Reps and managers can access the LearnCore platform through native iOS and Android apps, web browsers and Salesforce integration. Things pan out well when data is on your side. LevelEleven is a sales activity management system that relies on engagement, behavioral, and performance data to tweak your sales team into top shape. The platform determines the key factors that tip the scales in favor of your business, then guides your salespeople on how best to transform that intelligence into closed deals. Use LevelEleven to build a culture of high performance and revenue growth. In sales, your numbers are only as good as your members. Because your team’s knowledge and skills are critical, sales readiness is a strategic component you can’t afford to ignore. MindTickle is an end-to-end sales enablement platform that guides reps and managers across the selling cycle using structured learning paths, role-play and analytics. From onboarding to ongoing readiness, equip your sales team with the skills and knowledge they need to succeed. PointForward is an end-to-end performance management solution that helps you train sales reps quickly and cost-efficiently. Use PointForward to facilitate the onboarding of new sales hires, reinforce deal-winning skills, and establish best practices that consistently deliver positive results in every scenario. A team’s performance depends very much on the leadership behind it. Qstream equips sales coaches and managers with qualitative and quantitative insights that demonstrably move the needle on metrics that matter. This solution combines KPI information from your CRM, competency ratings, skills training, knowledge base, gamification and video-formatted observations to equip sales professionals with the right selling approaches, behavior, and messages as they engage customers in real time. Success in sales depends heavily on behavior, attitude and habits. ThinkSmartOne is an incentive and rewards platform that helps reinforce and standardize winning behavior among sales professionals. Using gamification, automation, reporting, and real-time communication, ThinkSmartOne drives high performance and top-line growth. Veelo provides a comprehensive sales performance management solution by centralizing enablement, optimization, onboarding and training in a single platform. Using AI, machine learning and behavioral science, Veelo recommends the perfect conversation agenda or the most crucial learning tract at the right moment to drive productivity and hike success rates. Use Veelo to onboard new salespeople faster and get them to reach peak performance quicker. You can (and should) align your compensation strategy with your growth targets. Xactly can help you do so easier, faster, and with surprising levels of success. Xactly is a cloud-based incentive, compensation and performance management platform purpose-built for enterprise-class sales organizations. Develop incentive plans that ensure optimal sales performance. Let Xactly automatically manage complex calculations and focus on getting your team improve their win rates. Use analytics to glean actionable insight on performance-compensation dynamics. Leverage industry data to see how the competition compensates their talent pool. Having a full view of every sales situation enables your team to make the right moves that directly impact your bottom line. With Accent Accelerate, you gain complete visibility into opportunities, selling activities, and customer behavior — crucial information that propels your team to achieve higher win rates. Using Accent’s data analytics, real-time tracking and visualization tools, you can navigate complex sales situations, prioritize the most valuable opportunities and determine the best step forward. Your sales performance depends heavily on how your lead pipeline grows and flows. Increase revenue by accelerating your prospecting activities. Adopt smart practices that go beyond contact information and into deep analytics to sift through oceans of data and identify buyer personas most likely to engage your brand. Cognism uses automation and machine learning to get you to the right customers faster. Harness the link between conversation and conversion rates. Conversica is an AI-driven sales tool that automates, streamlines and upscales your lead contact and qualification process. Deploying Conversica is like hiring a group of sales reps — at a fraction of the cost — who will tirelessly chase and nurture leads 24-7. The Conversica sales assistant will relentlessly but smartly continue to engage customers using natural language until they are ready for human sales professionals to come in and close the deal. Not all companies in the market fits your ideal customer profile. Let DataFox find them for you. Using machine learning to sift through thousands of data sources, DataFox identifies new prospects who are likely to respond positively to your message. Enable your reps to accelerate their pipelines, initiate meaningful conversations, and unlock new opportunities. Drive revenue growth by managing your opportunities better. DealSheet extends the capabilities of your CRM, helping your team qualify, manage and close leads better. DealSheet also tracks the metrics sales leaders need to train and coach their team more effectively. Prospecting can be a tedious process. Worse, doing it manually can take up an entire day and still leave you with a trickle of low-quality leads whose likelihood of opting in is not very bright. Fortunately, DealSignal automatically generates a list of prospects, leads and relevant intel on demand so you can focus on scheduling meet ups, polishing your pitch and closing deals. Dooly brings your most important sales and marketing content to your reps when they need it most—during their sales meetings. By analyzing your team’s calls and notes in real-time, Dooly feeds your team the stories and competitor intel they need to wow prospective customers and weave through objections with ease. Stop searching the abyss of your Google Drive for deal collateral or saying “I’ll get back to you on that,” and let Dooly help you close more deals—all while knowing your CRM and your team are kept up-to-date on the fly. Fileboard enables sales teams to improve performance by tracking engagement activities such as presentations, email campaigns and live meetings. Use Fileboard to accelerate your workflow, ramp up the pipeline with new qualified leads, and drive sales activities with more customer meetings. Google Trends makes it possible to map the stuff that excites your audience at any given moment and locale. This allows you to create precise messages, content and call-to-actions that resonate with what your prospects are currently preoccupied with. Growbots automates the entire outbound sales process to help you generate and tap new sales opportunities from a database of more than 200 million decision makers. Use Growbots to create an ideal customer profile and automatically get a list of screened prospects that fit your criteria. You can then automate and execute an email campaign for warm leads and get closer to your sales goals. Growbot is intuitive and customizable. Growlabs combines B2B lead generation with outbound sales communication to identify, engage and convert leads, at scale. Create your ideal customer profile(s) and automatically find leads from a proprietary database of 400 millions verified prospects. Growlabs machine learning algorithms determine when to send emails / follow-ups and pass new qualified leads directly to sales reps.
Hubspot offers an array of services ranging from free online analytics tools to a full-featured CRM. However, the company is best known for its set of inbound marketing tools that help brands hike customer reach and engagement. Use Hubspot to glean data-driven insight on how to build and optimize your lead generation campaigns. Having a powerful tool stack for your sales team is a valuable strategic advantage. But things can become complicated when your different tools become so siloed and detached from each other that you need to 1) exit one tool just to use another; 2) manually sync data across the stack; or 3) follow separate usage protocols to get things done. Fortunately, Hull keeps all your tools in one place and automatically syncs customer data and other information across your stack. Use Hull as your command center to access and use your CRM, email, databases, pipeline manager, performance platforms and other sales enablement software. Optimize and streamline your sales process by centralizing your customer content, quoting and ordering system across all your channels. Infor Sales Portal benefits makers and sellers of complex products which often experience discrepancies arising from the parallel use of disparate tools, apps and other software. Infor Sales Portal systematizes all your selling collaterals in one place to ensure that everyone gets timely information about your product. Nothing accelerates your sales performance better than plain, simple science. Inside Sales is a full-featured selling platform that uses AI, machine learning, data science, and predictive analytics to drive productivity and revenue growth. Powerful native features for sales calling, opportunity scoring, lead qualification, and forecasting to take your business to the next level. KickFire enriches your pipeline by unlocking new leads and opportunities, identifying which of your products and services resonate most with your key audience, and scoring prospects to help you prioritize your moves. KickFire uses web tracking, real-time notifications, and powerful analytics to give you full sales process visibility and keep you ahead of the competition. Lead411 is a Sales Intelligence platform that discovers actionable insights for sales/marketing teams to help them target companies/contacts that are much more likely to be buying specific products and services. Using technology and their team, they expose high quality leads for your solutions coupled with highly accurate contact information. Lead411 helps their clients crush their competition. Leadfeeder keeps your pipeline flowing by identifying companies who favorably engage your content. In analyzing website traffic, Leadfeeder traces organizations who show interest in your brand and which specific products appear to offer solutions to their problems. With this insight, sales teams can then approach prospects from the right angle and with the right pitch, substantially increasing their win rates. LeadFuze automates your prospecting process, giving you more time to improve your skills, perfect your pitch, and close deals. Based on how you configure your ideal customer profile (industry, title, location, company size, etc), this lead generation software automatically gathers the contact information of matching decision makers and promptly sends personal emails and follow ups. LeadFuze has more than 50 million records in its growing lead database. Elevate your lead generation and management process using the powerful combination of machine learning and expert human intelligence. LeadGenius enables your team to build lasting and meaningful relationships with every decision maker who matters. Grow your market by identifying new prospects, validating consumer segments and buyer personas, optimizing your existing lead database, and enhancing your email outreach. LeadIQ makes prospecting super easy, especially on LinkedIn. It is one of the fastest and easiest ways for sales teams and recruiters to build lists of verified contact data from the web and sync it into Salesforce, and many other CRMs. There are a lot of things you need to match well besides clothes, job skills and romantic partners. In sales, there’s such a thing as a lead-rep fit. A promising lead getting to the wrong rep easily becomes lost opportunity. LeanData enhances your sales process by enabling precise customizations of your lead routing strategy. Use LeanData’s visually intuitive and insight-driven lead management features to optimize your topline potential by consistently assigning the right leads to the right reps.
All the elements you need to optimize your sales process and increase win rates are in Live Hive. From prospecting, email tracking and call management to pipeline acceleration, analytics and coaching — small to medium enterprises rely on Live Hive to fine-tune their sales workflows and ramp up the volume of closed deals. Gather insights to identify and build a winning game plan, automate the strategy, and hyper-personalize a playbook that consistently deliver wins for your all your reps.
Knowing the exact sweet spot is a competitive advantage you can’t do without. MapAnything provides full visibility on location-sensitive factors that affect your business. Integrate MapAnything’s geo-analytics, mapping and geo-productivity features into your Salesforce or ServiceNow infrastructure and expect to address customers’ problems exactly where it hurts, and improve metrics precisely where it matters. Gain real time, data-driven insights to propel your lead management process. Mintigo collects and analyzes thousands of corporate data points including financials, tech subscriptions, staff complement, and purchasing behavior. Running these data points with corresponding models and data in your CRM, Mintigo then prioritizes leads based on the value they can generate for your company. Let AI-derived insights enhance your customer engagement efforts. Nudge analyzes your prospect’s behavioral patterns and gives you real-time recommendations on how best to connect with your customers at every moment of the engagement cycle. Integrate Nudge with Chrome, Gmail, Outlook, Microsoft Office, Slack, Salesforce and other software in your toolbox to get actionable intel (social media mentions, company news, etc) about the customer while you write emails or browse the Web. Taking notes during a meeting is important. But it can also take up valuable time. Pattern helps you save on note-taking time by automatically syncing all your notes to Salesforce. Pattern also enables teams to adopt a unified winning template to get everyone on the same page, standardizing the way everyone optimizes opportunities and closes deals. Pattern integrates with your favorite sales tools. In business, strong relationships often translate to strong revenue. Reachable helps your team harness the power of personal and corporate relationships to generate value, increase productivity, and drive self-motivation. Use Reachable to enhance team collaboration, accelerate sales, and identify the best point persons to engage or request referrals from when reaching out to prospects. As its name implies, SalesExec is a lead management software purpose-built for sales managers. Use SalesExec to find and route leads, quicken closing times and generate sales activity reports. Match your best salespeople with the most challenging and valuable leads. Salesvue was purpose-built as a native Salesforce function to help sales professionals automate their entire workflow: from prospecting to lead nurturing. Use Salesvue to grow your pipeline, increase appointment rates and convert more leads — without the glitches, delay, and usability issues commonly experienced in other third-party, non-native solutions that run in the Salesforce environment. You need real-time intelligence on how your prospects perceive your brand in order to create and execute a timely engagement plan. SalesWings is a handy tool for monitoring and gauging how your leads respond to your current messaging. This suite of plugins, APIs, add-ons and apps has the ability to detect specific behavior (such as newsletter engagement, visits to your website, and the particular sections or topics they are interested in). When trigger conditions are met, SalesWings sends real-time notifications so you can instantly react to positive signals. Selling is a tough job. Get 24/7 help from an AI-powered sales assistant. Sudo connects to your organization’s software stack and will help you manage your Salesforce data, calendar, phone calls, email, online conferences, and other activities — all the while taking notes, keeping all your records up-to-date, and freeing you from manual data entry once and for all. Sudo will also alert you of important signals and triggers so valuable opportunities won’t ever get lost in the bustle. The new generation of sales professionals demand tool sets that align with their habits and preferences, seamlessly melding work and lifestyle to keep them motivated and primed for high performance. Troops uses conversational AI to help teams get what they need (from cumbersome CRMs) fast, easy and on-the-go via a bot on Slack. No more need to wade in the murky swampland of conventional CRMs. All you need is to chat with a smart bot like you do with your friends. As its name suggests, Velocify Pulse accelerates the sales process while improving the precision with which teams prospect for and engage leads. Use the platform with Salesforce to hike the productivity of everyone on the team — from prospectors and SDRs to closers and managers. Automate the way leads are distributed and systematize how your team approaches different engagement scenarios to improve conversion rates. Turbo-charge your lead management process. ZenProspect enables your team to scientifically determine your ideal customer persona and find real-world decision makers who fit the profile. Once the platform infuses your pipeline with new qualified leads, ZenProspect immediately toggles your team to full engagement mode, accelerating your topline performance. Having the right information at the right time enables you to make decisions or take actions that get you closer to your goals. Artesian provides real-time and relevant insights about your customers, their world, and what matters to them most. Use Artesian to understand your market better, qualify prospects more intelligently, and maintain customer engagements that yield meaningful and productive results. Knowing your audience and having fresh, accurate information about prospects help set the right tone for customer engagement. Hoover’s has been providing customers with market intelligence since the 1990s and runs a database of more than 85 million businesses and 100 million professionals across nearly a thousand industry segments. If you want a quick way to gather insider info on a new prospect, Hoovers is a decent tool to use. A well-known secret: this tool can help you find prospects with immediate needs. Combine accurate sales and marketing intelligence with your pipeline management tools and you get an effective tool for homing in on the right leads every time. Use DiscoverOrg to funnel marketing-qualified leads into the pipeline of your sales development team. Configure behavioral triggers to give you real-time information on whether targeted prospects are ready to buy. Use detailed and regularly updated org charts of your prospective client companies to identify the right point person for each engagement. Deepen your knowledge of high value prospects. As a platform enabling sales professionals to connect with former executives of target companies, Emissary helps you gain a clearer understanding of the ecosystem, motivations and pain points of your key customers. Use Emissary to formulate a winning engagement strategy. Arm your sales and marketing teams with an AI-powered intelligence platform and accelerate your sales velocity. EverString’s intuitive user interface means every team levels up their game with net-new, high-potential prospects, a prioritized inbound lead flow and relevant insights about every account and contact. With EverString in your stack, your team can finally focus on what they do best: Selling. The right intel will help you establish positive connections with prospects. The right insight gained at the right time will help you build relationships and convert prospects into paying customers. FirstRain focuses on acquiring pertinent information, and on formulating timely insights to drive growth strategies and strengthen sales. FirstRain tracks the business, social media, and financial activities of your key customers and empowers your team through in-depth field knowledge and analytics. Acquire the corporate intel and insight you need to attract, qualify and convert customers. Mattermark enriches your customer database with dynamic, up-to-date information about your target companies, including location, number of employees, funding rounds, and scores of other data. Use Mattermark to deepen your understanding of key prospects and initiate more meaningful conversations that lead to sales. If your prospect’s company size, revenue history and contact information are missing on LinkedIn, you might be able to get it on ZoomInfo. The service is by no means perfect but the company has been in business since 2000 and has had ample time to mature and cover a good fraction of businesses operating in the U.S. and elsewhere. Use it to support lead research. Combining several tools in one best-in-class SEO suite, Ahrefs enables businesses to ramp up search-driven traffic, provide intel about key competitors, monitor trends in your niche, and glean insight on how to improve your position. Ahrefs has effective tools for keyword, backlink and content research, enabling organizations to initiate campaigns or effect changes that improve their ranking and mindshare among target audiences. Allows you to discover the most shared links and key influencers for any topic. It’s free to use and you can run a search in seconds. Particularly useful for content strategy, producing data driven sales enablement, and finding backlink opportunities. Free to use, KeywordTool helps businesses identify what their target audiences are typing on their Google Search boxes. The tool generates hundreds of long-tail keyword suggestions, some of which might improve your search rankings, move the needle on your site traffic, and improve conversion rates. KeywordTool significantly helps when you’re running a pay-per-click (PPC) ad campaigns through appropriate ad displays to the right kind of audience. Having an online presence is critical to your brand’s success, but it won’t matter if your audience doesn’t know or hasn’t heard about your website. Search engine optimization (SEO) helps your message reach more of the specific audience who would likely buy your product. And when it comes to SEO tools, Moz leads the pack. Moz provides analytics and tracking functions to ensure that your campaigns (social media, content, link building, etc.) not only deliver the maximum impact but that they also translate into real revenue. The SEO Spider is among the handiest tools you’ll ever need in search engine optimization. This website crawler will probe deep into cyberspace and collect information on key elements such as linking errors, page titles and metadata, duplicate content, and other data that help you take positive action or make smart decisions. You can also integrate the SEO Spider tool with Google Analytics to glean crucial user data such as bounce and conversion rates. The quality of your search performance and online presence directly correlates with your bottom line. Use Searchmetric’s bag of tricks to get side-by-side comparative analyses of historic data that let’s you take decisive steps to keep your brand ahead of the curve. Check how your brand fares in different locations. Glean actionable insight from big shifts in the online performance of websites you are tracking. SEMrush provides a suite of digital marketing tools covering site audit, keyword research, backlinks, ad research and position tracking. Via a simple UI, SEMrush also provides comparative analyses on competitor sites, enabling you to make the right moves to position your brand a step ahead. Use SEMrush to discover fresh keywords to target for your next campaigns. Winning in your market takes takes decisive moves fueled by hard data. Trusted by thousands of businesses around the world, SimilarWeb provides the insight you need to stand out and reel in the value you deserve. Use SimilarWeb to scout the Internet for potential partners by probing industry players and key competitors. Qualify prospects based on their market footprint and align your pitch with their online strategy. Need to know which keywords are purchased on Google Adwords by your competitors? SpyFu can crank up the answer and more. This search analytics tool scrapes the web to provide search volume statistics and calculate how much your competitors are likely spending on search advertising. You can also use the service’s ability to map historical spend to make forecasts on how big a budget you should allocate for your next campaign. Use SpyFu to gain insight on which specific search queries drive traffic to your site, which goes to your competitors, and how you can monetize the information. If you are using the WordPress platform for your site, then Yoast is a tool set you can’t afford to ignore. Used by nearly 10% of the planet’s top one million sites, Yoast provides the solutions you need to improve your SEO performance on many areas. Whether to ramp up your rankings, enable your video content to appear in video search results, or optimize your site for the local market, Yoast will help you set the groundwork for achieving your goals. The foregoing list is by no means comprehensive. The apps, services and platforms we cited are just some of the most popular and highly rated solutions in the market. If your team hasn’t had any addition to your toolkit lately, it’s high time to assess which stage or aspect in your sales operations needs a little uplift. Try out some of the tools we listed here and decide for yourself. On the other hand, if you have a favorite sales enablement tool we failed to mention, please tell us more about it and how it helps improve your sales performance.